Description ABOUT MARC INBANE The innovative products and unique self-tan formulas of MARC INBANE make the brand a leading player in the field of tanning cosmetics. The products are used in shows of influential fashion houses and many celebrities derive their natural appearance from it. The Dutch brand has received multiple awards and is currently being sold in over 40 countries. 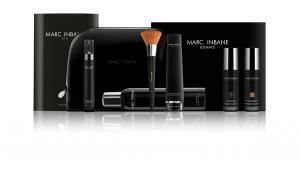 MARC INBANE is used and recommended by dermatologists, hair- and make-up artists.